I cannot believe it's 2014! Happy New Year & I hope everyone had a great night! After a late night it is a good day to get some R&R, so I've put together a list of must haves for a relaxing New Year's Day. A cozy look is best after a night out. Whether you have to run errands or can just hang out today you will be comfortable & chic in an outfit like this. Lately I have been loving Fair Isle print leggings & the color of this pair is so pretty. 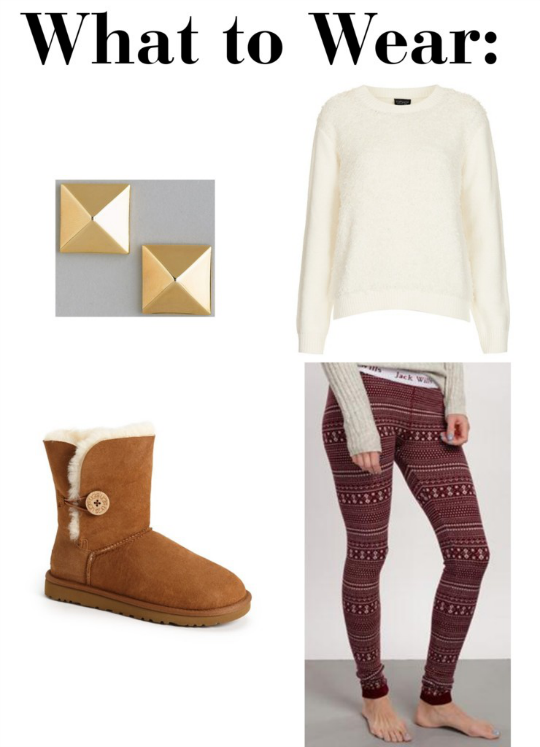 Pair your legging with an oversized sweater & UGGs, & you are good to go! 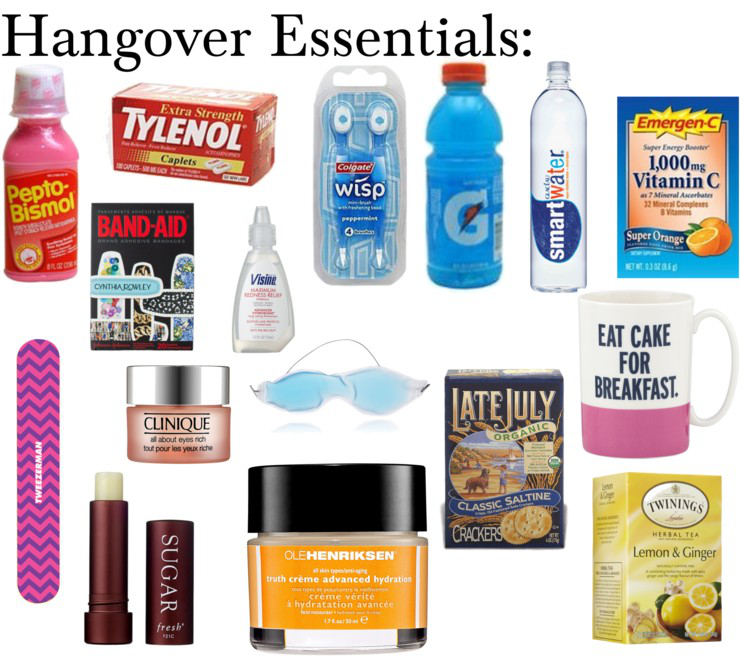 Here I've put together a list of hangover essentials that will come in handy today. Since alcohol dehydrates you, you want to drink lots to replenish the lost liquids, Gatorade, Smartwater, Emergen-C, & tea will help with this. You also want to externally hydrate your skin with moisturizer, eye cream, & lip balm. You can even treat your eyes with Visine & a gel pack to reduce dark circles, puffiness, & red eyes. Pepto Bismal will help with any stomach problems & Tylenol will ward off a hangover headache. The Late July crackers pictured here are so good, they're an organic version of Saltines (but better) & will also help with stomach! I included band aids & a nail file in case there were any mishaps last night, I know that I've woken up after a night out to find a broken nail or a cut. Finally there's little toothbrushes to really freshen your breath. If all else fails (or you just want one) have a mimosa, it's the hair of the dog! Now that you're dressed & have worked on getting rid of your hangover, you need to relax & enjoy the day. 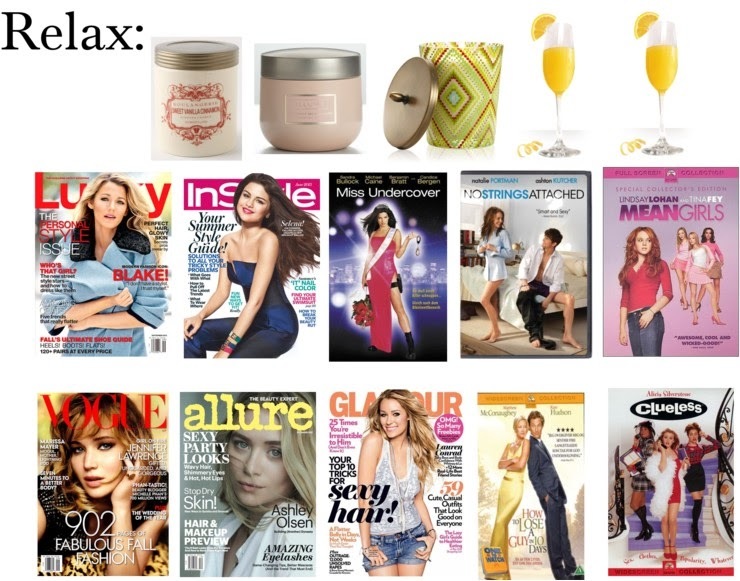 Gather some movies, magazines, & candles (my favorites are pictured here!) & spend the day cuddling on the couch! On a different note I want to thank everyone that comes here & follows along on this journey with me. 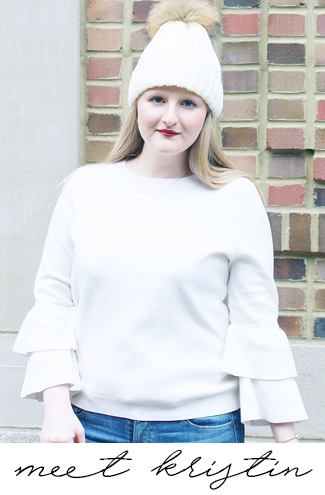 Joining the blogging world has been an amazing thing & it means the world to me that everyone has been so supportive. I'm so looking forward to continuing this adventure with all of you & have a feeling that 2014 is going to be great. I hope everyone has an amazing day (& year!)! Lots of love! I love that outfit! Looks so comfy and cozy! Love the post, especially the hangover part, so fun ;-) Thx for making me smile. Would you like to follow each other on GFC? Please let me know on my blog so I can follow back. Thank you. Hello lovely :) Just found your blog and love it - new follower! Great choices above (ps - I've been eyeing those same earrings!). Hope you come visit me too! So cute and cozy! Happy New Year! 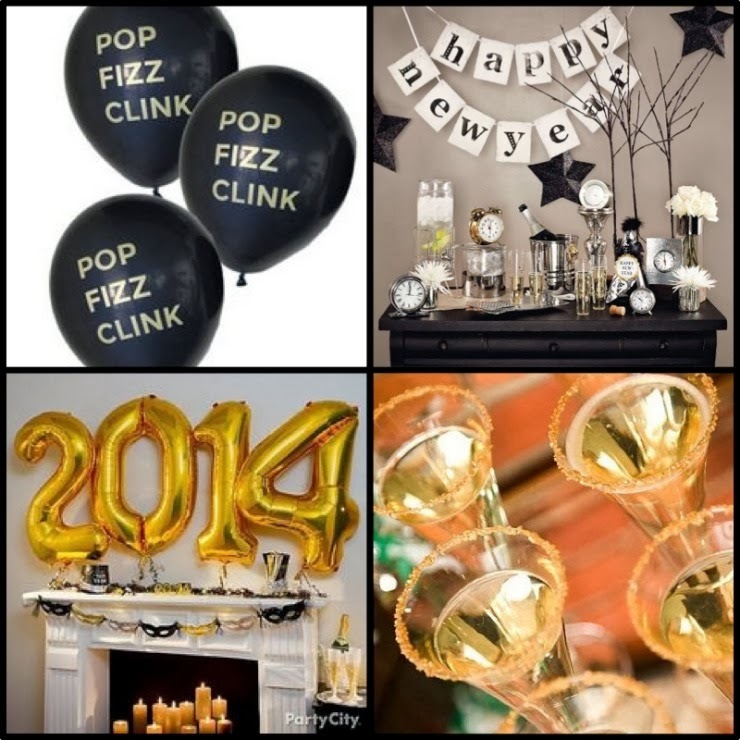 Happy New Years and all the best for 2014!